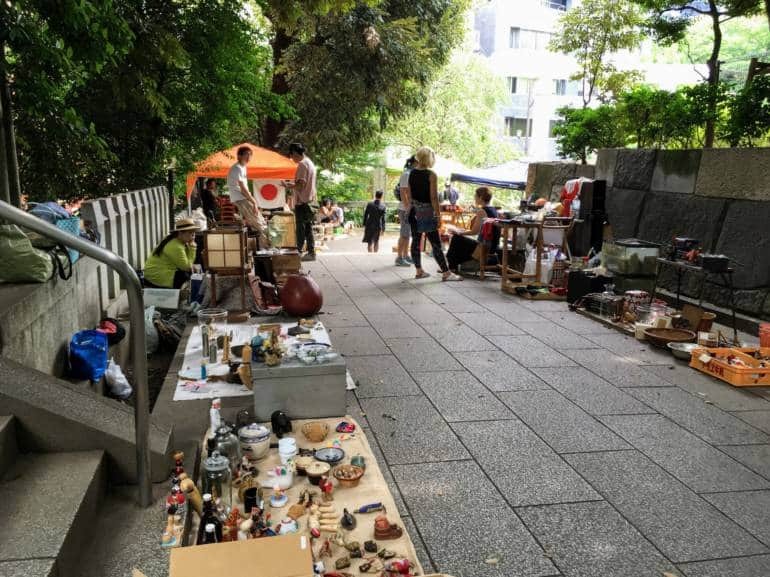 The Ark Hills antique market is much classier compared to some of Tokyo’s usual fairs. In addition to the amazing finds you can usually dig up at a flea market like jewelry and home goods, you can also find stylish clothing brands, a great chance to update your wardrobe. Food trucks park here and there for the day, so you can hunt for cheapo deals all day! Or at least until 4pm, when it closes. You can get to Ark Hills from Exit 3 of Roppongi-Itchome Station (Namboku Line). This market happens about once a month, usually on the fourth Sunday. Stay in the loop for upcoming dates on their Facebook page. 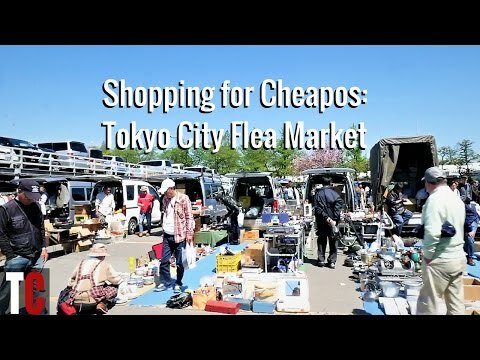 An easily accessible, sheltered flea market surrounded by ramen restaurants and other eateries—making for a relaxed and enjoyable day out in Tokyo. Chock-full of everything from used clothing to kitchen utensils and electronics, partly sheltered in case of inclement weather (so it happens even on rainy days), and surrounded by a slew of restaurants, you could describe it as random or as colorful, depending on your outlook on things. You might walk away with a beautiful new vintage dress and matching hair pins, or with an antique tea set, or with some cheap kitchen utensils. Junk and treasures are both ample here. While close to the station, the market can be a bit hard to find at first, so follow the crowds that look like other flea market patrons if in doubt. This market takes place on most Sundays throughout the year. 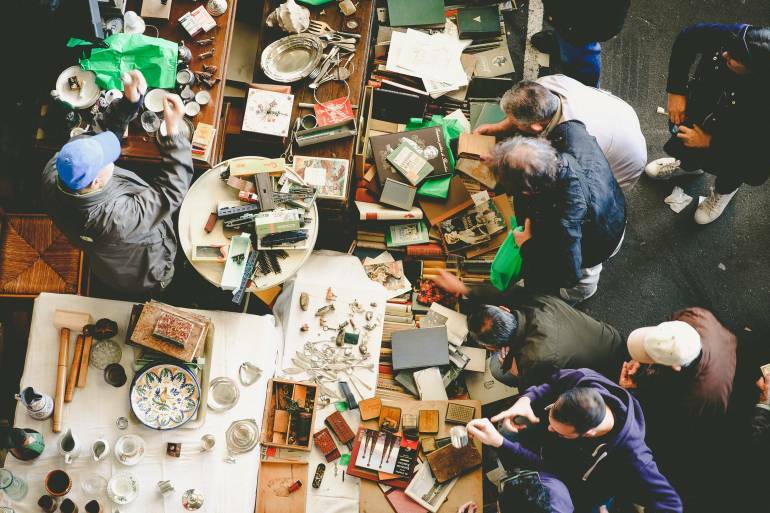 This antique market takes place on the 4th Sunday of each month. Items available include traditional kokeshi dolls, porcelain, and other various knick knacks. For more tips on shopping for antiques, see our guide to souvenir antiques in Tokyo. A relatively small but regular antique fair, this event has around 25-30 stalls and is on almost every Sunday (aside from those with festivals or bad weather). Roughly translated as Hanazono Shrine Blue Sky Antique Fair, it definitely gives a hint about the preferred weather conditions. It runs from sunrise to sunset, but most stalls close around 3pm. Focusing on smaller items, it does extend to small pieces of furniture and has a less intense vibe than the bigger markets. Check the calendar to confirm before attending (in Japanese, but Google Translate on Chrome will work).